Working on your holiday gift list? 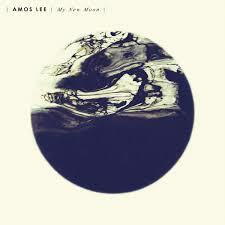 For the music fans in your life, consider Amos Lee’s newest “My New Moon” release. Gifted in the art of songwriting and storytelling, Lee pulls from many genres in ways that always satisfy. His newest is a refreshing collection of diverse folk-rock-soul tracks sure to satisfy even the music snobs on your list. From the same guy who penned the popular “Windows Are Rolled Down,” for example, we’re given another taste of road life via his smashing, celebratory “Louisville.” Here, a festive full-band sound includes a merry singalong chorus and first-rate drumming. Born in Philadelphia, Lee attended the University of South Carolina before releasing his self-titled debut album “Amos Lee.” With seven albums to his credit, Lee’s musical influences include Luther Vandross, Joni Mitchell, Bill Withers, Otis Redding, and John Prine. The bluesy approach found in some of his work has been compared to 70s soul R&B star Bill Withers. Lee performed at Farm Aid 2013 and plays numerous music festivals both in the U.S. and abroad. He deservedly received an outpour of critical acclaim for his 2011 “Mission Bell” release, which debuted at number one on Billboard. His hit singles have included “Shout Out Loud,” “Vaporize” and “Sweet Pea,” and if you were lucky enough to hear him the last time he performed in Eugene, you already know his live shows are spotless. In preparation for “My New Moon,” Lee worked with non-profit organizations Musicians on Call and Melodic Caring Project to play music bedside to hospital patients battling serious illnesses. One of those patients was 9-year-old “Mighty Maya” from Seattle, who was undergoing kidney cancer treatment. Then there’s the raw, bluesy vibe of atmospheric “I Get Weak”…quintessential Lee. At just under six minutes, it’s a slow burner you’re sure to love. Here’s hoping Amos Lee and other great artists we play here at KRVM are on your holiday gift list.